We began our journey in style in 'Music City’, Nashville this place is spilling over with musical talent. It's on the streets, in the Honky-Tonks on Broadway, in the parks and even up on the bridge! Whatever your musical taste if you look hard enough you could probably find it here, or you could just embrace the Country music, it is infectious! I wasn't a huge country music fan when I left the UK but by day two in Nashville I was converted. I started my day at the fascinating Johnny Cash museum, a well-crafted and loving exhibit of his life and work. At lunchtime I was trying on over-priced cowboy boots on Broadway. 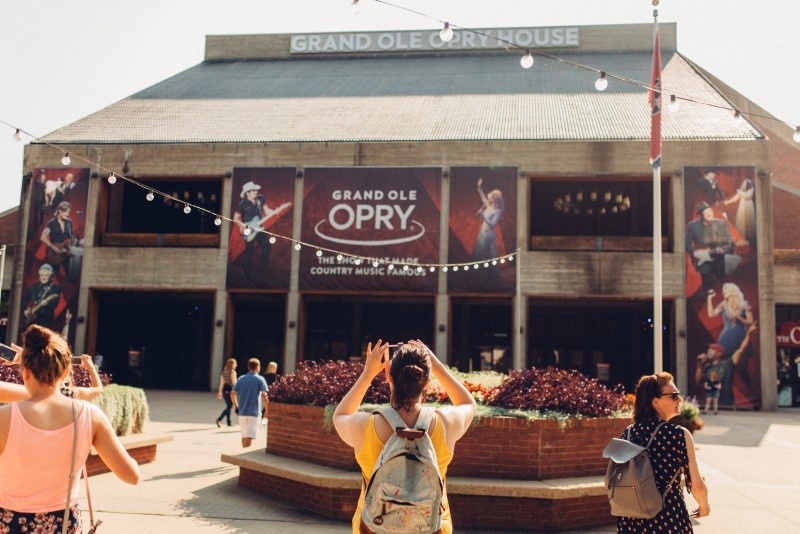 By mid-afternoon I was working my way through the Country Music Hall of Fame and by nightfall I was in my seat at the Grand Ole Opry, rocking out to some great country talent both young and old! 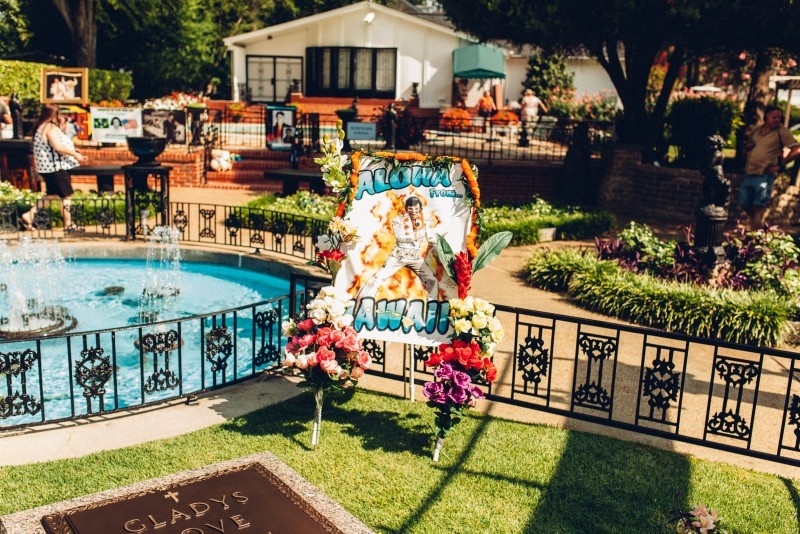 Country turned to Rock n' Roll the very next day with a visit to Elvis' Graceland home. The tour of the house narrates the life and times of 'The King' quite tastefully, in contrast to the razzle and dazzle of the gift shops outside (there are so many) with their array of wonderfully kitsch souvenirs. We could have bought a replica of one of Elvis' bejewelled outfits for just $2000, bargain! Singing a few Elvis tunes in the van we rolled into Memphis in high spirits early in the evening and wasted no time heading to the neon glow of Beale Street. 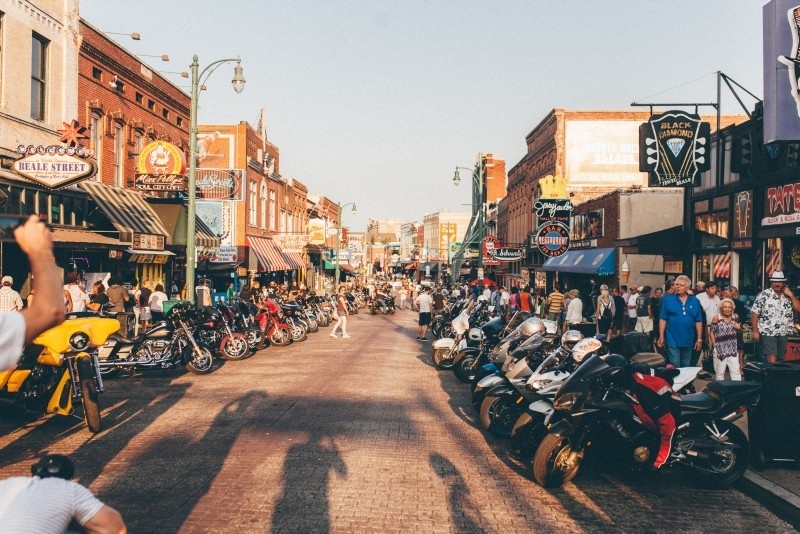 Memphis is all about the Blues and we were spoilt for choice on Beale Street, there was the legendary BB Kings, the Blues Cafe and Rum Boogie just steps away from eachother. BB Kings seemed a good place to start then we just listened out for what sounded good and headed there. Having arrived in the city in the evening, it had a much more subdued vibe the next morning. 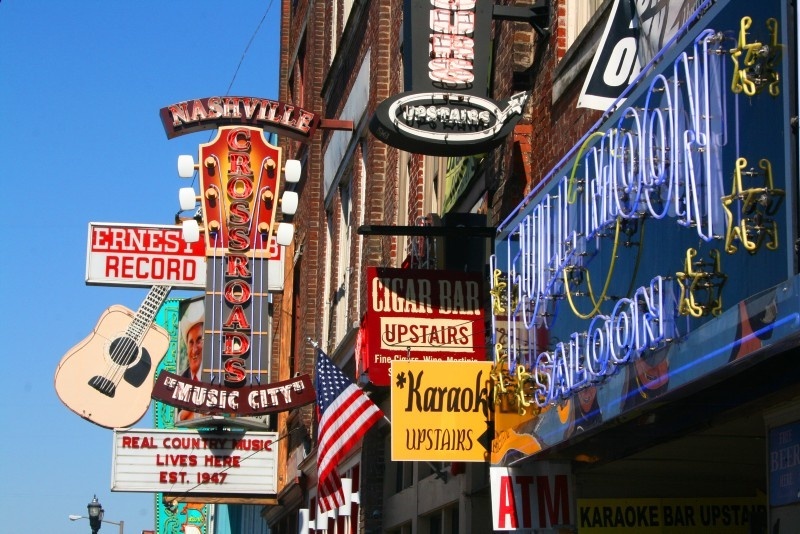 Whereas Nashville seemed quite clean cut, Memphis was gritty and edgier a lot like its music! First I visited Sun Studio, the recording studio where Elvis got his first break. Our guides were slick and sassy and gave an excellent tour reflecting the spirit of the studio back in its day. Memphis is also the city where I began to really understand the history and culture of this whole region, by visiting the National Civil Rights Museum. I could have spent an entire day here as there was so much to take in. 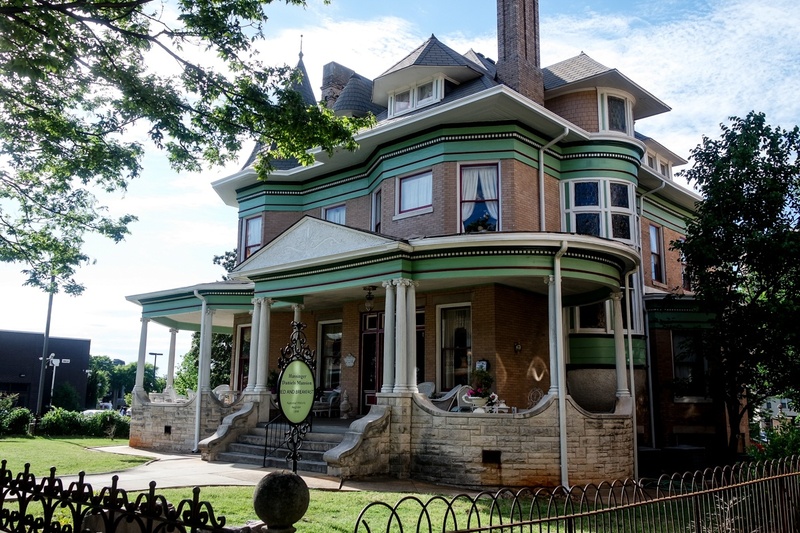 The museum traces the Civil Rights Movement in the USA right back from the 17th century to the present day. The music and lyrics we'd been listening to over the last few days started to take on new meanings as we learnt more about the history and events behind them. 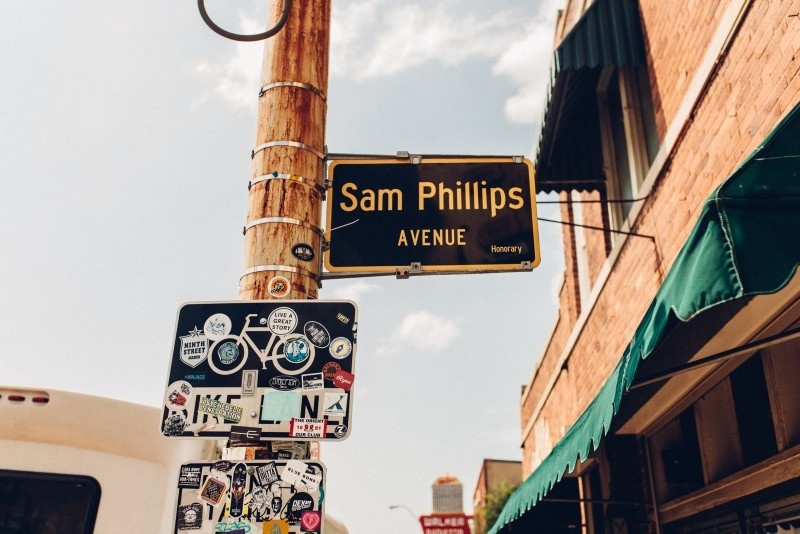 That night, our tour leader Josh, a talented musician himself, offered us a choice of returning to Beale Street or heading out to a small local bar to see a new and upcoming bluegrass band, I chose the latter and I think I made a good choice. When we arrived the bar was empty with no sign of the band, though the bartender assured us they were coming. So we waited and waited and finally the band called 'Devil Train' arrived. There was a banjo, a double bass, a mandolin, guitar, drums and a mean fiddler. Worth the wait, they were awesome, the energy was high and suddenly the place was packed! It was a great night in Memphis and musically one of the highlights of the tour for me. 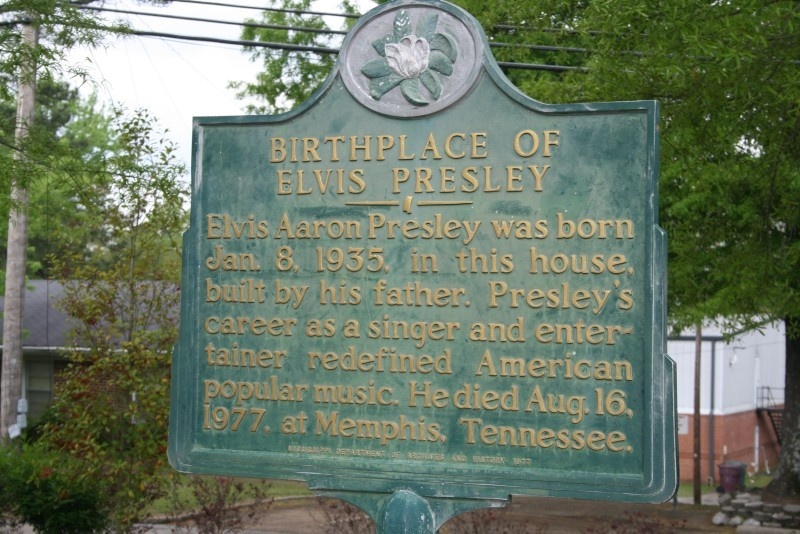 Travelling down through the state of Mississippi, we passed through Tupelo, Elvis' birthplace, then on to Clarksdale and the legendary Crossroads. Now feeling at the heart of the Delta Blues we actually had musicians coming up to us in the street to tell us their stories. We met a guy called Josh 'Razorblade' Stewart literally underneath the Crossroads and later found out with a bit of googling that he was a regular musician at Ground Zero, Morgan Freeman's authentic 'Juke Joint' in Clarksdale. One thing that really struck me as we passed through these smaller towns was the friendliness of local people, they always had time for us and were just as eager to hear our stories as to tell us theirs. Then on to Natchez, probably one of the most beautiful, picture perfect towns I've ever seen, sitting on the banks of the Mississippi River, yet with such a dark past. 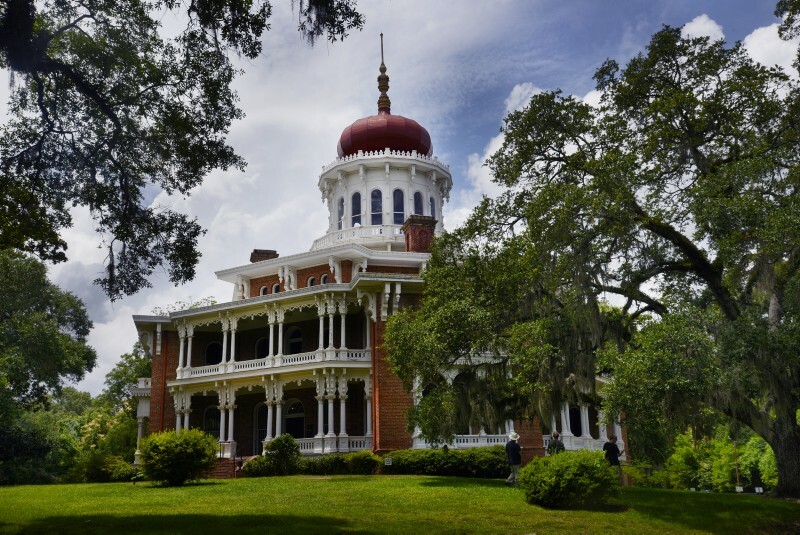 Whilst taking a tour of 'Rosalie', one of the town's fine Antebellum mansions, it was hard to imagine the horrors of the slave trade that would have been going on just outside. The next day we were in Lafayette, Louisiana! So far on our trip we had experienced a few local dishes, and some great Southern BBQs! We were in Cajun country now, so our tour leader made a brilliant suggestion and arranged a Cajun Food Tour for us that day. We were picked up by our lovely local guide Linda in her bright orange minibus and taken around town visiting bakeries, restaurants, speciality Deli's and authentic eateries to sample local delicacies. 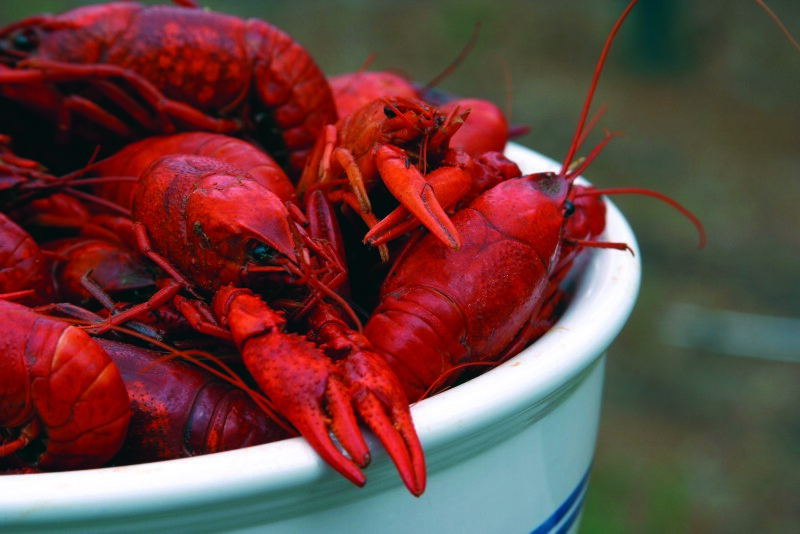 Highlights for me were the Crawfish boil at the Crawfish ‘Drive Thru’, Alligator legs at the Blue Dog and King Cake and coffee at Keller's Bakery. Now craving live music every night, luck was on our side as Lafayette was hosting the International Music Festival of Louisiana that very night. There was a great selection of local music on offer and I got my first taste of Zydeco, a beautiful blend of creole, cajun, blues and jazz. And I loved it! 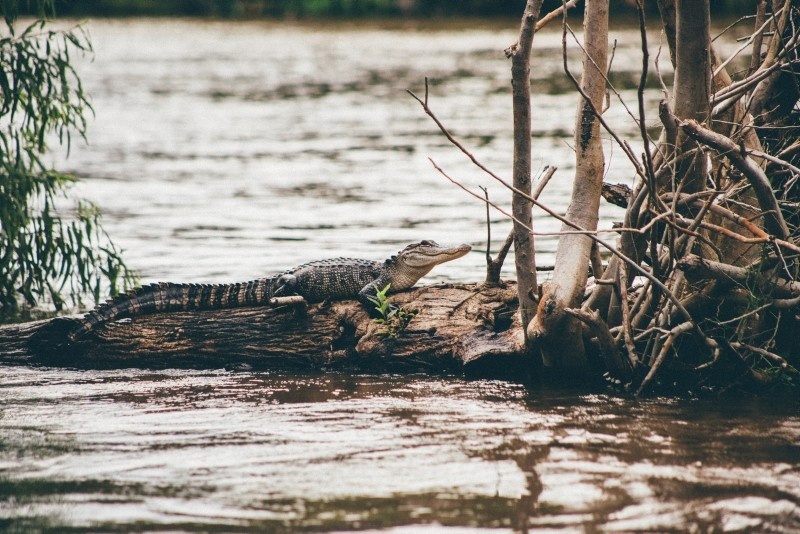 We made a watery entrance to New Orleans with a Louisiana swamp tour on the Bayou in the morning and a Steamboat dinner cruise on the Mississippi river in the evening. Our guide gave us a lively introduction and brief history of New Orleans, describing it as one of his own favourite cities in the US. 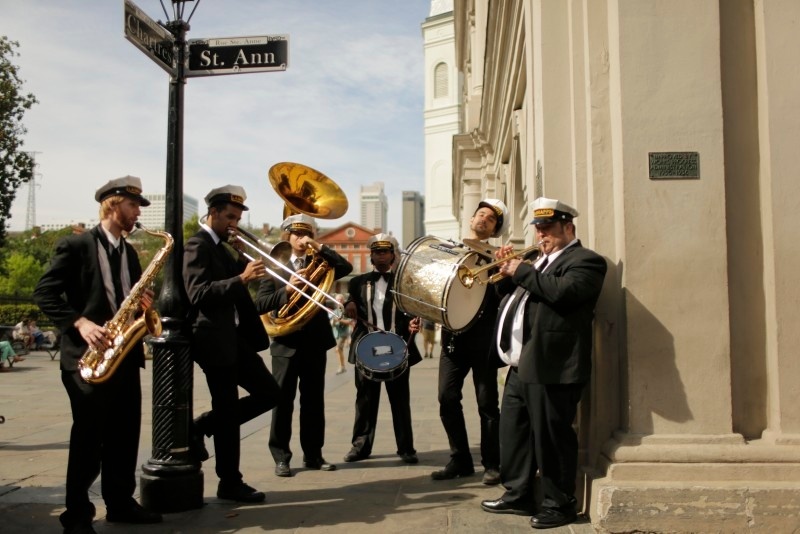 His enthusiasm was infectious and we were ready for our first taste of the French Quarter and Bourbon Street, where anything goes! We made our way through numerous bars and venues, it was just as entertaining to be out on the street, which also seemed to be full of characters. Everyone was celebrating and everyone was invited! 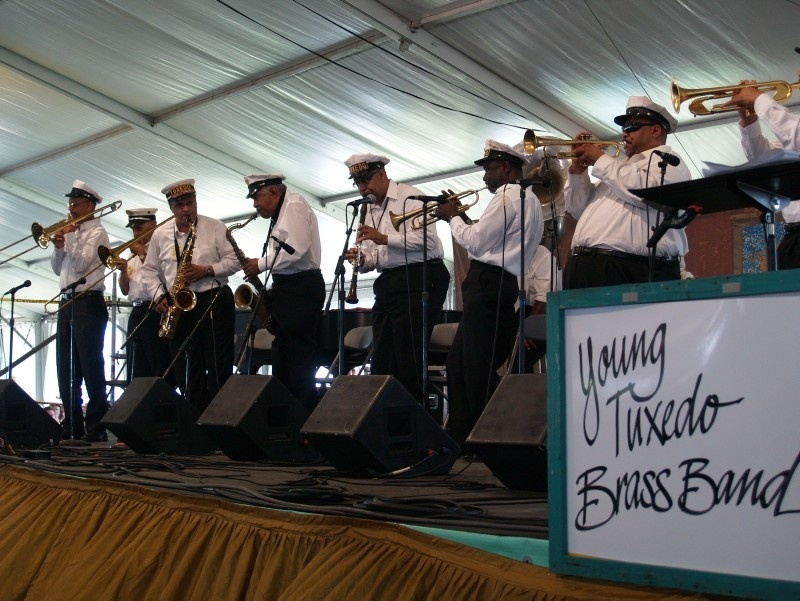 As a group, including our leader, we had all began to feel that our whole trip had been building up and preparing us for this day, the New Orleans Jazz & Heritage Festival! We had been introduced to so many different genres along the way and seen great live music every day, so we went into the festival with a new excitement and interest in what we wanted to see. The heritage side of the festival was also worth taking some time to explore with a lot of arts and crafts by local artists. The Mardi Gras tent was definitely worth a visit, with some beautiful displays of costumes and floats from past parades. For me it was an amazing day at a great festival, with so many highlights: starting with some Zydeco, then Folk, followed by the musical styling of 'Ironing Board' Sam in the Blues tent and yes he did have an ironing board with him. Kermit Ruffins & the Barbeque Swingers, The Mavericks and Robert Plant & his Sensational Spaceshifters were all fantastic to see live. The festival finished quite early in the evening, luckily we got to experience some true New Orleans hospitality as our hotel threw on a complimentary Crawfish Boil and BBQ for all the guests in honour of the Festival that night, which was the perfect end to an amazing day. This is how our tour leader described the city the day we arrived and I think it fits it perfectly, with its beautiful yet slightly crumbly architecture and good time spirit. 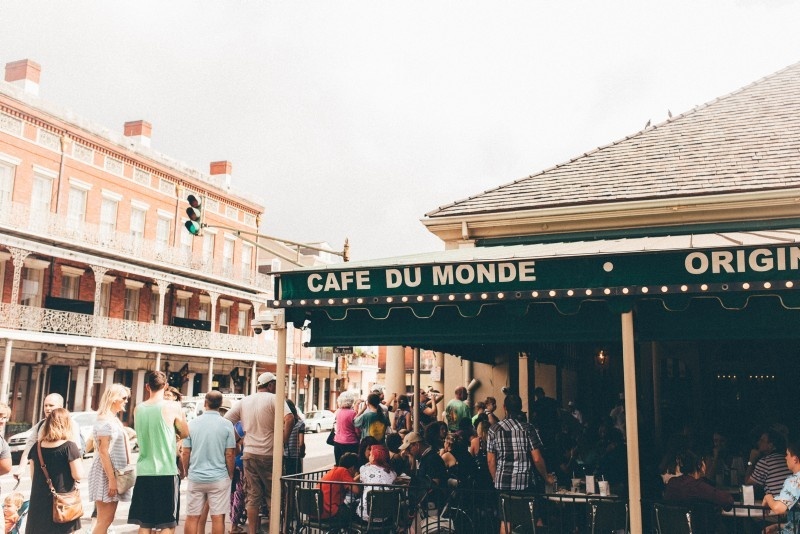 We had just one more day in New Orleans, so a few of us explored the city together, going beyond the French Quarter and riding the street cars into the leafy Garden District. After lunch at the French market, five of us opted to take an Original Cocktail walking tour. This was an excellent way to learn about some of the amazing history and buildings of the French Quarter, whilst sampling some of its legendary cocktails from the Sazerac and Pimm's Cup to Absinthe and the Hurricane. Our tour finished at Lafitte's Blacksmith Shop which has been called the oldest continually occupied bar in the United States. We invited the rest of the group to join us there and it was a great place to spend our last night in this exciting city. Our tour continued on to Birmingham, Alabama, but due to adverse weather conditions our time there was limited and we headed back to Atlanta. At our last meal together in Atlanta, we looked back at the main highlights of the tour. For me it was that great night in Memphis, live music everyday, meeting some lovely people, having a great tour leader and of course the JazzFest!